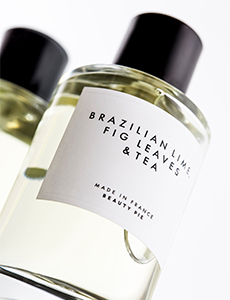 Now this is a fairy tale for beauty product lovers. Close your eyes and picture yourself in a shiny hallway, lined with doors, each leading directly to the production line of one of the world’s best makeup and skincare producers. 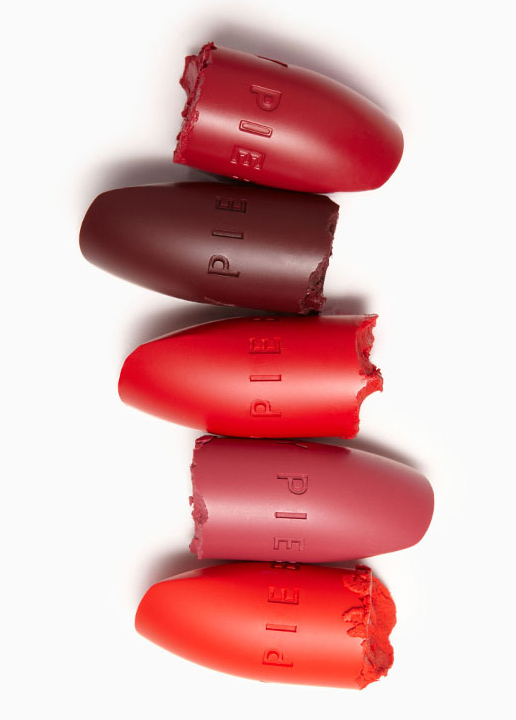 These are the very same labs that so many of the big beauty brands buy from. There’s a basket in your hand, and it’s empty. Now imagine that through one of those doors, you’d find the world’s foremost eye and lip pencil supplier. 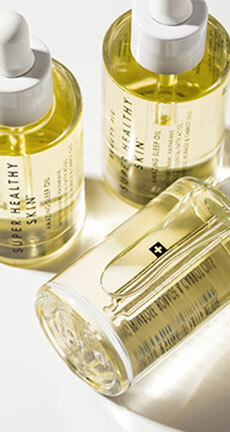 Through another, one of Switzerland’s top high-tech anti-aging skincare chemists. Across the hall, you could access the warehouse of one of the ultimate Italian foundation makers. And through another, you’d discover the pre-eminent artisanal manufacturer of pressed powders. Now, say you could fill your basket up, from their shared warehouse, without tripling the product prices to pay for celebrity faces and fancy shopfits, and then doubling them again to pay for branded storefronts and retail space. Why wouldn’t you? Because that would be like a FAIRY TALE, right? Well, that’s the mission behind BEAUTY PIE. 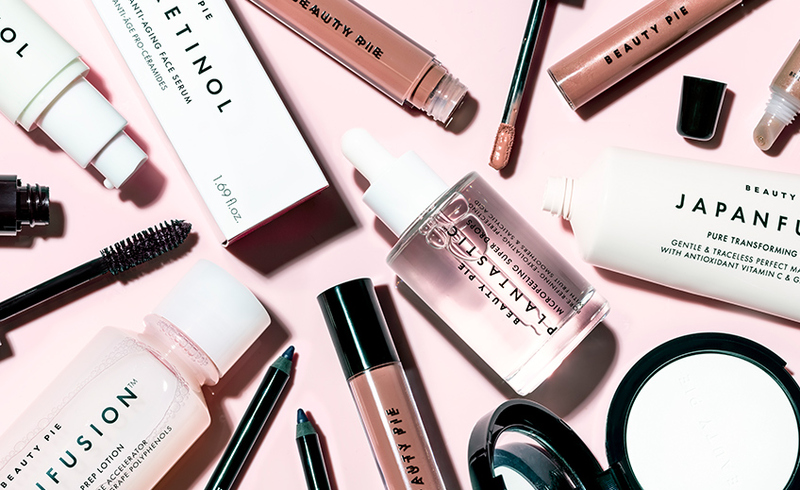 To deliver the best luxury beauty products, from the world’s leading labs directly to members, at totally transparent* prices. Already convinced? Join the PIE. The same markups happen on Swiss anti-aging creams, exfoliators, French face-lifting masks. 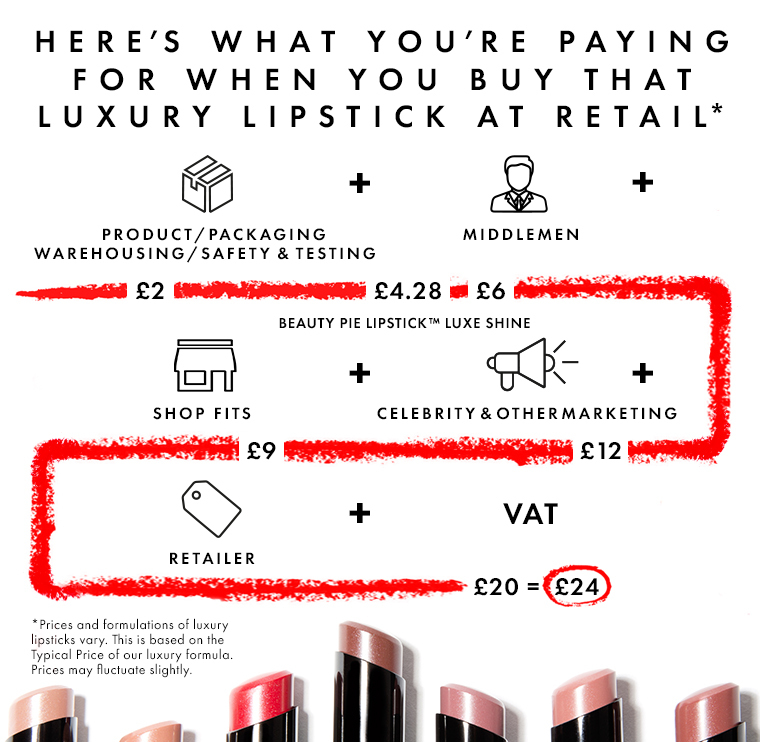 See, with luxury quality beauty products when you buy something for £100, about £90 of that price can be ‘added-on’ after the product is made, filled, boxed and sealed. 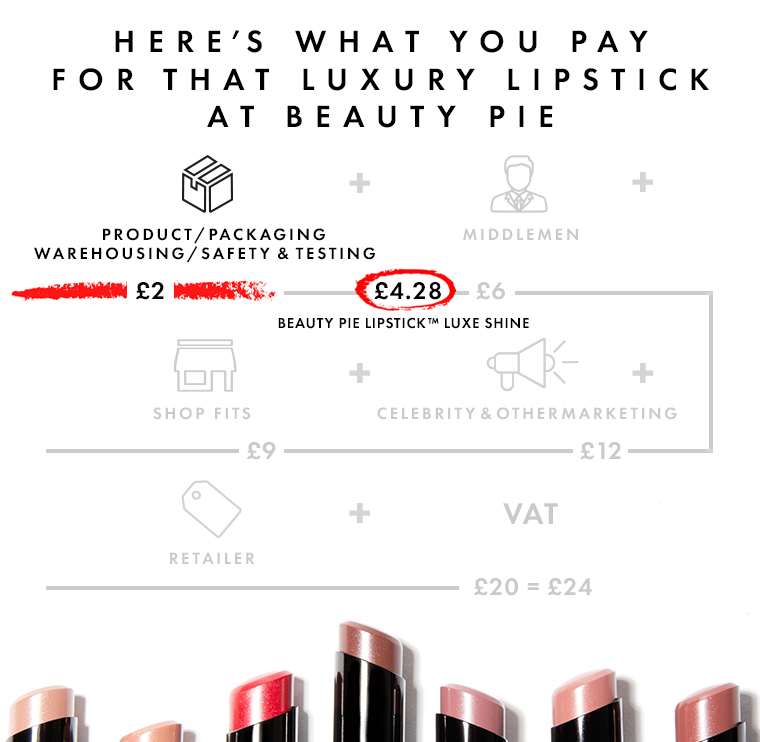 So for every £10 in membership contribution you pay (once you sign up, you’re billed monthly unless you cancel) you can shop for £100 worth of best-in-class beauty products. Go ahead. Just try it. It’s easy. And our on-site spending bar will do the math for you. As a Beauty Pie member, you can have your cake, and eat most of it. The PIE needs at least £10 for every £100 (at typical prices) you buy to fund things like operations, sourcing, QC, financing, and staff. Because although we look amazing and the skin on our body is highly moisturized and firm, we don’t want to lose our shirts. 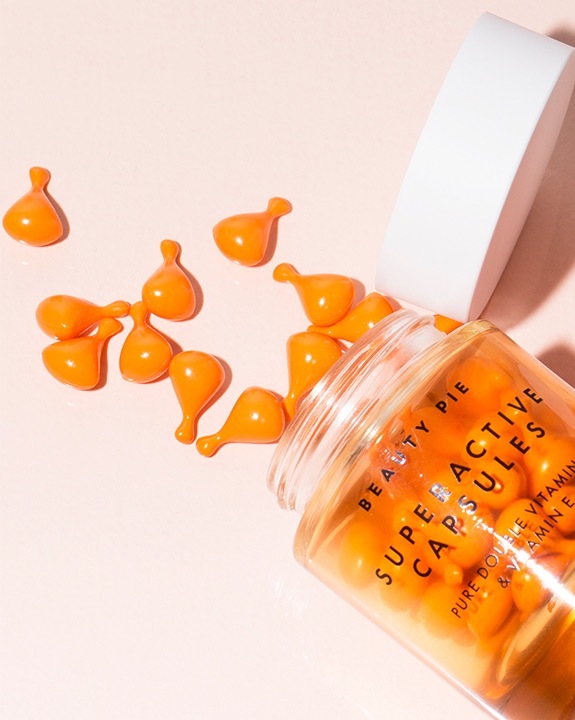 Beauty Pie is the brainchild of one of the beauty industry’s most trusted ‘gurus’ – Marcia Kilgore, who started Bliss Spa in New York in her mid 20s, having studied cosmetic chemistry and aesthetics, and who touted by the New York Times as “the POPE of facials” (with Uma, Oprah, Madonna, and Christy as clients). 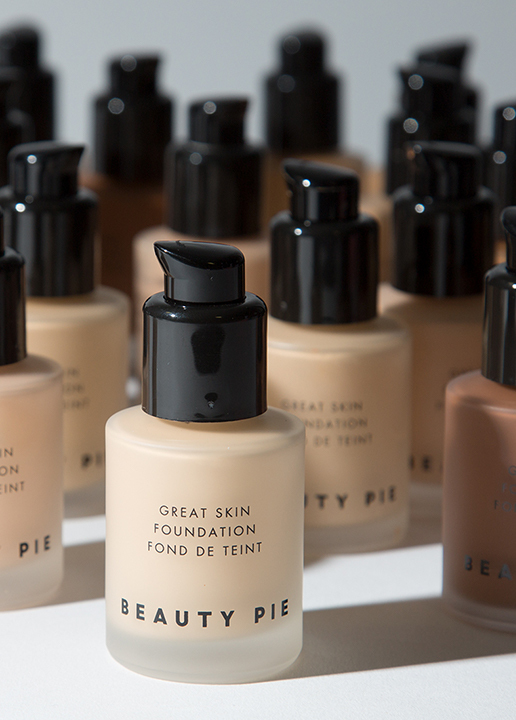 She’s worked with, sourced from, and knows all of the best beauty industry suppliers, chemists, labs from around the world and has handed over her contact list to create the equality, democracy, and give everybody equal pieces of BEAUTY PIE. Our mission? To democratize access to the best in beauty. 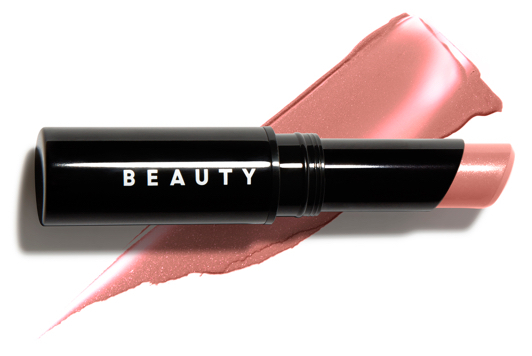 To make every beauty product lover feel like a kid in a cosmetics candy store. 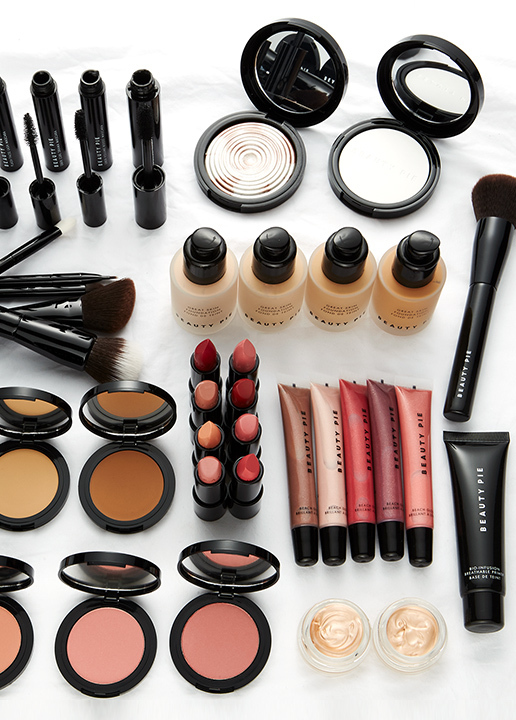 Because- there should be no guilt in getting gorgeous! 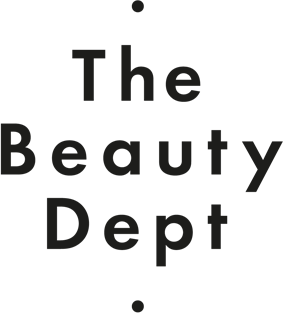 *check out any one of our product pages to find out exactly how we calculate our members prices.